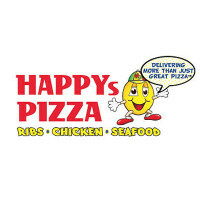 Happy’s Pizza is a chain of restaurants that, unsurprisingly, serves a lot of pizza as well as other foods like ribs, chicken, seafood, pasta and desserts. To find out how to apply for Happy’s Pizza online, follow the link at the bottom of the page to submit your Happy’s Pizza application today. The company was founded by a man with the unlikely name of Happy Asker in 1994, with the first restaurant located in Detroit, Michigan. Since then, the chain has grown and now has over 95 different locations not only in Michigan, but also in Illinois, Indiana, Nevada, California and Ohio. In addition to the restaurants, the company also offers catering services for different types of events. To expand the business, there are always franchise opportunities available. The company shows no signs of slowing down its expansion any time soon and is looking to add more locations in many new territories. What sets the chain apart from its competitors is a willingness to be a little different. Other pizza chains didn’t want to set up in Detroit, but that’s where Happy’s started. The company has a reputation for daring to open up restaurants in locations overlooked by other firms, and this has been a major contributing factor to its success. They are always accepting applications for Happy’s Pizza careers based in their restaurants. The most common openings available are Delivery Drivers, Cashiers, Team Members, Pizza Makers, Fry Cooks, Assistant Managers and General Managers. Many of these will not require previous experience, although you will need 1-2 years for management positions. Corporate careers with the company are a lot less common as it is a relatively small company, but there will be opportunities from time to time. Vacancies in this sector will be in the departments of Administration, Finance and Accounting, Human Resources and Sales and Marketing amongst others. For these roles you will often need a college degree. How old do you have to be to work at Happy’s Pizza? You must be at least 18 years old or over to be eligible for Happy’s Pizza jobs. The restaurants are open from 10am to 11.45pm Monday to Thursday, 10am to 3.45am Friday and Saturday and 12pm to 11.45pm on Sundays. The main benefits to Happy’s Pizza jobs for entry-level employees will be taking advantage of flexible scheduling and the atmosphere with your coworkers. You will have the opportunity to make quite a lot in tips in exchange for excellent customer service. Other perks will vary depending on your position in the company. Driver – You will need to have a clean and valid driving license to be considered for this position. Drivers deliver the take out orders to various customers and take payments. Drivers may also have responsibilities in the kitchen including basic food preparation and cleaning duties. The typical pay for this role starts at $8/hour. Cashier – As a Cashier your main task will be to greet and serve customers. This will involve taking their orders and putting the orders together and serving drinks. You will also take payments and process transactions. There will be other daily tasks including food preparation and cleaning. The average pay is $8/hour. Pizza Maker – The job description for a Pizza Maker is in the name. You will prepare the pizzas according to the specifications. You will need to keep to kitchen safety and food preparation hygiene standards. Other tasks will include restocking items and taking responsibility for keeping the kitchen clean. The pay for this type of position usually starts at $8/hour. Manager – Working as the Restaurant Manager you will need to be able to multitask so that you can keep an eye on all aspects of the restaurant. Managers are responsible for hiring, training and the ongoing management of staff. There will also be administrative and financial duties involved including monitoring performance and sales goals. The salary for this role typically starts at $30k/year. When you have submitted your Happy’s Pizza application, prepare for your interview by practicing some questions like these. Why do you want to work here? This is a very common opening question at interviews so make sure you’re prepared for it. Be positive and tell the interviewer what you’re hoping to get out of the job and why the company appeals to you. Do you have any customer service experience? For many entry-level positions this won’t be necessary but if you have worked in a similar role then describe your duties. If you don’t, then talk about other situations where you have had to use your interpersonal skills. How would other people describe you? It’s best here to rely on the opinions of people you have formerly worked with or your teachers and professors, and try to only talk about the positive things they might say. Do you have any leadership experience? This doesn’t need to be from your work history necessarily, you can also use examples from sports teams or any other extra activities when you have been asked to display leadership, and talk about what the results were. What are your career goals? They are looking for people who are worth investing in, who will be dedicated to the company. Be realistic in your goals and how you want to develop within the company. Search for Happy’s Pizza jobs online and check the various restaurant locations to find out where your nearest restaurant is. You can submit your Happy’s Pizza job application online for their restaurant-based jobs. If you’re interested in corporate job opportunities you should make a direct application to their head offices with your resume and covering letter. To apply for jobs at Happy’s Pizza you can either fill in the online application form or download a printable application for Happy’s Pizza off the careers section of their website. If you apply online then you have the option of either uploading an existing resume or describing your past employment experience in detail. You could also download an application and fill it in to take to your local restaurant or you could request a free application form from the manager there and complete it in person. Remember to be well presented when you go, as this is the first impression that the manager will get of you. You may be invited for one or more interviews depending on the career path you’re applying for. At the interview, be sure to dress smartly, although a full business suit won’t be necessary for entry-level positions. The most important thing to remember is to have an outgoing personality and show that you will be able to hand the fast-paced industry. Hard Rock Cafe: Checkout the application page for work at Hard Rock Cafe. BJ’s Restaurant & Brewhouse: Visit the job application for BJ’s Restaurant & Brewhouse to apply today. Applebee’s: Applebee’s offers opportunities for both, beginners and experienced roles. Ninety Nine: Checkout the application page for work at Ninety Nine. U.S. Foodservice: See our guide for careers at U.S. Foodservice.